The 2017 PA Nordic Championships are a GO!! The Pennsylvania Nordic Championships will be held at Wilderness Lodge in Wattsburg, PA, on Sunday, February 5th, 2017 between 9 AM and 12 PM. There are events for everyone, including kids races, classic races, and skate races. The course conditions at Wilderness Lodge are currently excellent, with more snow and continued cold temperatures expected. Register today at SkiReg.com! Youth: The 5k youth races are for U16 and U18 - birthdates from 1/1/99 to 12/31/02. Children: The 2.4k freestyle race is for U12 and U14 - birthdates from 1/1/03 to 12/31/06 and the 1.2k fun classic race is for U12 and younger - birthdates of 1/1/05 and later. The hotel this year is the Wingate by Wyndham. It's right off of I-90 at Exit 24 (Peach Street). The address is 8060 Old Oliver Rd., Erie, PA 16509. The hotel is only a couple of years old, has an indoor pool and hot tub, and free breakfast. 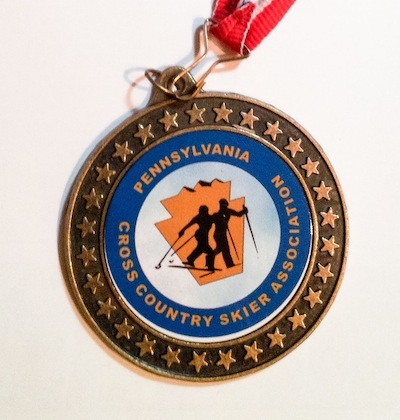 Ask for the PA Nordic Championship special rate of $79/night.